At the time of writing this, Valentine’s Day had just passed. Usually around this time of year, we are all witness to self-loathing Facebook statuses about being single, but this doesn’t just happen because of the holiday. I find often times the perception in society is that if you’re single, you’re unhappy – and if you’re in a relationship, you’re automatically happy. Given how many people live fulfilling single lives and how many people settle into the wrong relationships, this is not always the case. Here are 8 reasons it’s okay to be single. It shows you don’t lower your standards. Many people think that if you’re single, it means you can’t find someone. But, in reality it’s smarter to wait for the right person to come along, than to settle for all of the wrong ones. Give yourself a pat on the back for committing to this. It gives you time to learn about yourself. The most important relationship you’ll ever have is with yourself. If that one isn’t healthy, none of your others will be. 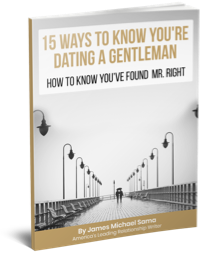 Often times “serial monogamists” have a difficult time finding a long term healthy relationship because their identity has always been tied to another person. I am thankful to be in a happy, healthy relationship – but the only reason I knew it was right was because I’d taken the time to define what I did, and didn’t want. It gives you time to learn about other people. Sometimes the easiest way to spot the right person is among a crowd of the wrong ones. When you have the time and the freedom to date other people, you can prepare a mental checklist of what you do and don’t want in a partner. No dating experience is ever a waste of time. If it didn’t bring you what you wanted, it showed you what you don’t want. Negative relationships don’t always just…end. Sometimes you will stay in touch with someone you shouldn’t have even been with in the first place, or you carry emotional baggage into your next relationship from the bad experiences you had – this helps nobody. There is no use in settling into the wrong relationship which could potentially sabotage what could have been the right one. You can work on you. Along with the above point to learn about yourself, you can also work on yourself. The harsh reality is that you could find the perfect person, but if they’re not interested in you, that will feel even worse. Of course you should always improve yourself, single or not, but being single helps you focus on what will be best for you and allow you the freedom to fully commit to your goals. Hell, don’t just travel, move if you want. Learning more about the world helps us learn more about ourselves. I understand (better than anyone) that family and other obligations can keep you from moving, it’s not just about being in a relationship – but if you have the support from those around you, take a summer in Europe or move across the country. These things will allow you to develop and discover, and, you might just find your match during your journey. Want to try something new or out of the ordinary? When you’re single, you can do whatever you want, whenever you want. Sure, when you’re in a healthy relationship you can do these things together – but if you find a partner who doesn’t enjoy the same hobbies, you may feel limited. This is two fold, you can go out and do what you want, and you have a higher likelihood of finding someone who shares your interests. I talk to a lot of people who feel as though they are in a negative relationship but are unable to leave for one reason or another. This, in my opinion, is far worse than being single. Fight through the lonely times, love you for you, and you’ll never accept a situation you wouldn’t want to be in. Someone who is worthy of your love will never put you in a situation where you feel you must sacrifice your dignity, your integrity, or your self-respect to be with them. A great relationship will never hinder you or your individual life – it will enhance it. But, it takes time to find that great relationship, and you should never feel bad about waiting for it. You don’t “find” love, love finds you when you go out into the world and begin chasing after your passions – so start chasing. 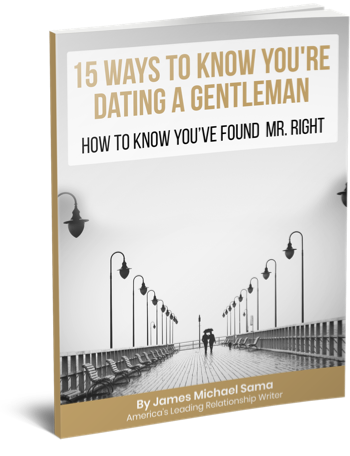 Click here to join the New Chivalry Movement. You’ll never feel trapped. True enough. I was 31 when I got married and I had people ask me, “What did you wait so long for?” I told them I was waiting for the right person, and that shut them up. I didn’t meet my future husband till I was 29, and even then, we started out as friends. I’ve learned if we all just concentrated on being the right person rather than just looking for the right person, we’d be better off. I used to think that when I got married, we’d have all these mutual friends and interests, but that doesn’t have to be the case. It’s fun to just have a girl’s night out (no double dating) and to have my own interests (in a way, it’s good, because we’re not competing against each other). They say love is as much how you feel about the other person, as how that other person makes you feel about yourself. My husband is a poker player, enjoys gambling, and he said when he married me, he felt like he’d won the lottery. I have to say, he finally made me feel lucky in love. Great blog. I made very similar points in mine!! 🙂 please follow. I love your blogs!!! Spot on! I loved it! Reblogged this on Get Messmerized. Reblogged this on PREP & BLOOM WEDDINGS. Thank you for the elequant words I could never manage to find. i have been single most of my life, only a couple of short relationships and vary rare dates that usually never go past the second date. Im on my way to 28 and am finally getting myself sorted with career and life and I am finally realising that Im not wierd because I havnt connected with someone and neither because I dont see the point in going out with guys Im not interested in just because.. there has been many a conversation with “friends” basically defending myself to tell tham Im not “picky” or shallow I just know what I want or especially dont want and I never have the right words for these people that always look at me with pity eyes as if they are better than me regardless of the fact they are in a bad relationship or very fake short lived or superficial one themselves. I would rather be alone than with someone because they we “just there”. So thankyou you put it perfectly, being single is a powerful and wonderfully free experience and people should understand tgis not pity us! Thank you so much! I really needed to hear that. I think sometimes people say I am picky (especially my mom) but deep down I feel that I am just .. not lowering my standards. Lately I have been really focusing on being the kind of person I want to marry first because like you said, finding the perfect person and him not being interested is not ideal (which happened to me recently). Thanks for your encouragement, I like all of those points! 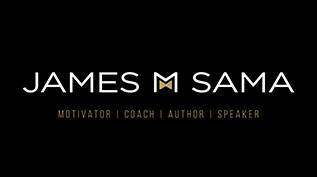 By James Sama, a relationship expert and public speaker. Great reading. Un excellent moment passe en votre compagnie, un enorme compliment et felicitation. Merci enormement pour cette lecture. – because I like me. and with my blog being “My Life As An Officer’s Wife” (even though Hubs is technically a Sheriff’s Deputy) I didn’t want to become an impersonal @OfficersWife type of handle… I wanted to be me, and I am I also have @hashtag_whore, and I’ve reserved the handle with my first & last name, although I’m not currently using it… so, yeah. Maybe that final break with Klout is next on my list of things to do, I better read that article, and the instructions on how to make the break. Thanks Liz!